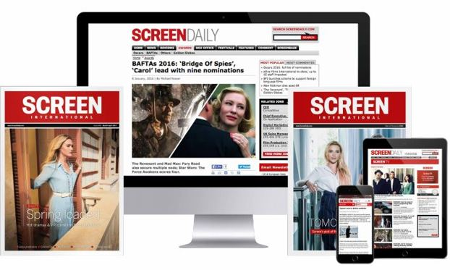 UK production and media financing outfit Baker Street Media Finance has launched its own sales arm. Baker Street International - as the new division is called - will be attending the EFM informally before beginning selling in earnest in Cannes in May. The new outfit is head by former Lakeshore executive Phillida Lansley. Baker Street’s founder and managing-director Keith Evans describes the move into sales as part of the company’s ongoing move toward ‘vertical intregration.’ The company already finances and produces and has ambitions to set up a UK theatrical distribution arm too. Baker Street has a handful of projects on its slate including Luna, the new feature from Dave McKean (Mirrormask) which is resuming post-production after a lengthy hiatus, and Dirk Maggs’ animated feature Kitchen Stories, which is being conceived as a trilogy. Financing on Luna is already complete. The company is expected to move ahead with between four and five new films this year. Its budgets will be in the £2.5 to £4 million budget range. ‘One of the good things for us is that we’re not looking for pre-sales and we’re not necessarily looking for advances. We’re really just looking for the best distribution terms. We will therefore hopefully be more attractive to distributors,’ Evans commented. Baker Street is one of the companies that sprang up in the years of Section 42 and Section 48 film financing in the UK. Since 1998, it has been involved in 29 UK feature films, among them Saving Grace, Bloody Sunday, Ladies In Lavender and Valiant.